Monster black holes sometimes lurk behind gas and dust, hiding from the gaze of most telescopes. 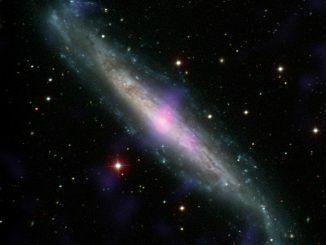 But they give themselves away when material they feed on emits high-energy X-rays that NASA’s NuSTAR mission can detect. That’s how NuSTAR recently identified two gas-enshrouded supermassive black holes, located at the centers of nearby galaxies.